“Hard_Core_Gamer84: When Game Rage Turns Deadly” brings a story that will truly put readers on the edge of their seats and leave them wanting more action and suspense! Gamers and fans of action thrillers are in for a treat as this novel is filled with surprises in every chapter! In his first novel, Brandon Merriweather writes a suspense-filled story to look out for. Gamers and fans of action thrillers are in for a treat as “Hard_Core_Gamer84” presents a story about six friends who encounter an angry player from the opposing team. At first, they were just ready to have a good time playing “Called to War 3,” an online video game based first person shooter. What started out as a great gaming night for the six turned into something horrible. They encountered an increasingly disgruntled player on the opposing team. After an exchange of words, the angry player, whose gamer-tag is Hard_Core_Gamer84, decides to exact vengeance on the group of friends by going on a real-life homicidal campaign. Now faced with the possibility of death from the vengeful gamer, they are now in their biggest challenge yet: their fight for survival. This novel is indeed a must-read as it is filled with surprises in each chapter. 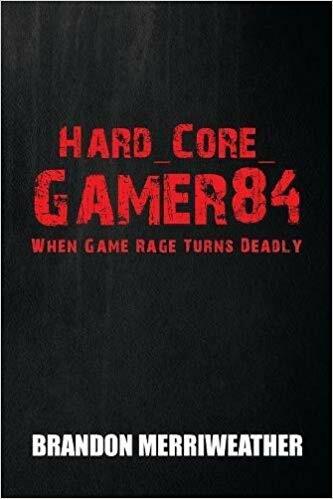 Find out how the story goes by grabbing a copy of “Hard_Core_Gamer84: When Game Rage Turns Deadly” on Amazon: https://www.amazon.com/Hard_Core_Gamer84-When-Game-Turns-Deadly/dp/198451928X/. Merriweather’s masterpiece is also set to reach out to a wider audience as it joins the upcoming 2018 Frankfurt International Book Fair. Happening on October 10-14, 2018, this much-anticipated event is known as the biggest trade fair for books, therefore, it’s something that should not be missed! Brandon Lemar Merriweather is an American Author, Songwriter, artist and United States Air Force Veteran. Brandon was born in Muskegon, Michigan and later uprooted to Grand Rapids, Michigan. Brandon Merriweather didn’t begin writing books until he relocated himself to Atlanta, Georgia. After writing songs for several years, an aunt persuaded him to use his writing skills to produce a book. After following her advice, Brandon wrote his first book in the spring of 2018. Brandon’s Merriweather first book was loosely based on his experience as a gamer and gave light to the conception of “Hard_Core_Gamer84,” an intense thriller about game rage.